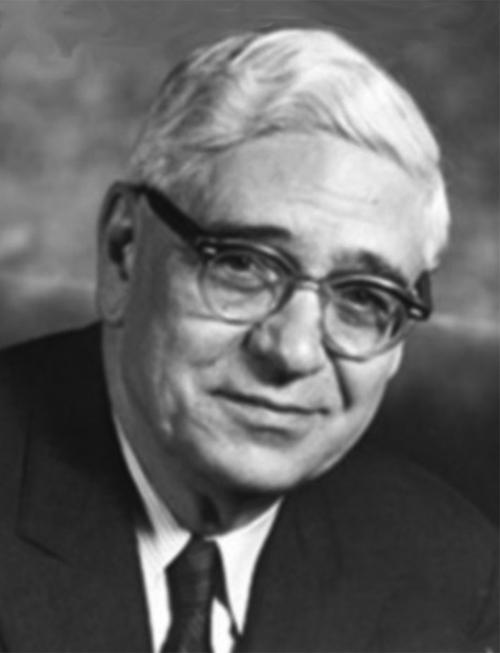 Henry C. Dworshak Jr. was born on August 29, 1894, in Duluth. His parents, Henry Sr. and Julia, resided at 725 East Second Street. The Dworshak family arrived in Duluth in 1879 when Joseph and Maria, Henry Jr.’s grandparents, moved there from Appleton, Wisconsin. They had immigrated to the U.S. from Austria in 1866. Joseph was self-employed and is described as an independent thinker who spoke seven languages and had, at one time, studied for the priesthood. He was publisher of the Duluth Volkesfreund, the first German newspaper published north of St. Paul. Henry Sr. was a printer and later a supervisor for the Duluth Herald, and a union activist. He died in Chicago in 1947. Julia died in Duluth in 1902 at the age of 35. Henry Jr. grew up in the house on East Second Street, but the family also resided at various times at 914 East Sixth Street and at 506 Eleventh Avenue East. He attended Duluth schools but apparently began working for his father in the printing trade around age 15 and didn’t graduate from high school. Henry Jr. was the oldest child and had brothers Lincoln, George, and Charles. Sadly, Charles died at age 6 in 1905 from tetanus caused by stepping on a rusty nail. Henry Jr. was married to Georgia B. Lowe on January 31, 1917, in Brainerd, her hometown. The couple then resided at 4110 McCulloch Street in Duluth and Henry worked at the Labor World until his service in World War I. He joined the Fourth Anti-aircraft Machine Gun Battalion in 1918 and served in France for four months, returning to Duluth on January 26, 1919, for a first look at his new son, Henry III, born on October 9, 1918. Henry worked as associate editor of the Labor World and managed the Northwest Printers’ Supply Co. in Duluth until 1924. Then the family moved to Burley, Idaho, where he became owner and publisher of the Burley Bulletin, the local newspaper. Henry and Georgia had four sons, Henry, Charles, Ward, and Calvin. In 1938, Henry was elected to the U.S. House of Representatives as a Republican and served four terms. He was known as a champion of conservation, reclamation, and government economy. He resigned in 1946 to run for the U. S. Senate seat made vacant by the death of Sen. John Thomas. Henry won the seat but was not re-elected in 1948. Then on October 14, 1949, he was appointed to fill the Senate seat vacated by the death of Sen. Bert H. Miller. He won the 1950 election to complete Miller’s term and was re-elected in 1954 and in 1960. Henry became a leader of the conservative bloc in the Senate. As a member of the Senate Appropriations Committee, he strongly opposed what he called “Socialist spending.” He died on July 23, 1962, in Washington, DC, and was buried in Arlington National Cemetery. In 1963, the Congress passed legislation renaming a dam in Idaho the Dworshak Dam and Reservoir.